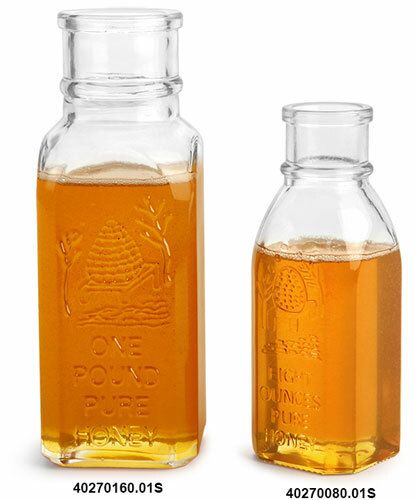 Purchase the clear glass muth style honey bottles in bulk quantities for the best possible price! 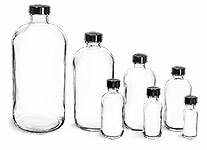 These bottles do not come with the cork stoppers. To purchase compatible closures, click the green add-ons button. * Note: Honey bottle sizes are expressed in terms of "Honey Weight," NOT fluid ounces.